The reason I love film photography is the effect that film gives my photographs. The limitations that using chemistry to create an image has. The reason many hate film photography is the very thing that makes it unique...film. Film can be expensive, you can run out an inconvenient times and in some places it can be hard to find. 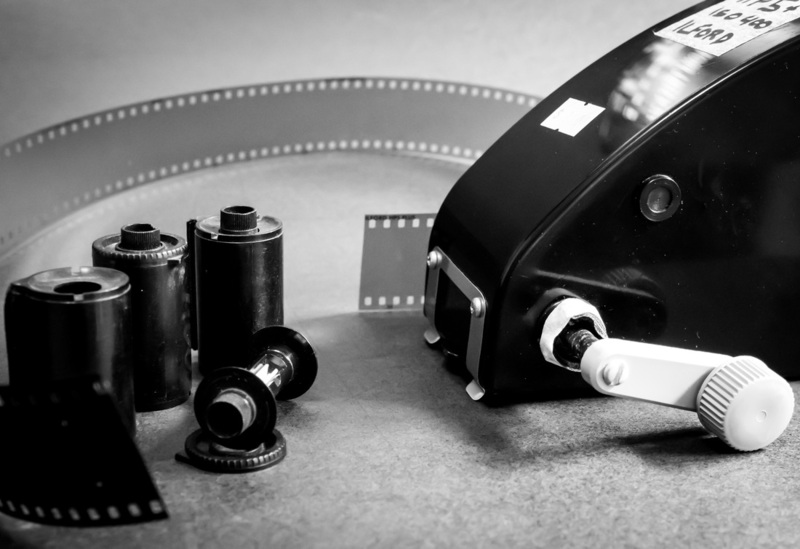 One possible answer to some of these issues is to bulk load your own film. There are plenty of websites that try to explain the economics of bulk loading with drastically different results. The fact is that bulk loading can save you money but the trade off is not that simple. So let me explain why I bulk load, then explain the economics behind it and finally a little on how I bulk load and track what I am doing. I bulk load my own film because it gives me direct control as to the number of rolls of film I carry. By buying 30meter rolls I have plenty on hand and do not have to worry about running out of film. I always have two bulk loaders filled with film. If one runs out I can move to the other while purchasing more bulk film. I typically have an ISO 400 and an ISO 100 film loaded. I can always push or pull these films to the ISO I need on any given day. Bulk loaders can be stupidly expensive or amazingly cheap. Search a bit and stick to a budget. I purchased mine for around 30 dollars with a small supply of film. This can me amortized over years of use. Frankly if you make 30 rolls of film it would add a single dollar to the total cost. Film canisters do not have to be bought. You can use your old, purchased film rolls. All you need to do is use a film catcher to pull out the exposed film when you develop and reuse the canister with bulk film. I will add a short explanation on how to do this soon. But even if you purchase them they can be had for around 1-3 GBP each. The time I spend bulk loading is reasonable. I can load a roll of film in about 4 minutes. But I never understood the argument of calculating the time in a hobby such as film photography. I enjoy it hence the time is not a cost but a benefit. Risks....I have heard that some people have had issues with film getting a bit scratched when loading. The truth is I never had an issue however if not kept clean I can see how a small dust particle can scratch the film a bit. But the beauty of film does not come in its perfection but in its scratches, dents and follies. ​I have two bulk loaders. This one I purchased used in a camera store. It works well and seems to have been made in the 1980s or so. You can see that I label clearly the type of film I have loaded into it. The other bulk loader holds Ilford FP4. This gives me a standard ISO option of 400 or 125. I can push and pull for any kind of shooting. The bit of tape around the hand crank helps avoid light leaks as my bulk loader had a small fall a few months back. Works like a champ, not a single frame affected. Here I am using some film canisters I bought recently for 1GBP per canister. The film in the background is just for the benefit of the photograph. Typically however, I used old film canisters which I originally bought new. When I develop these rolls I pull the film out instead of using a bottle opener to open the canister. I cut the film out of its base and use this stub to tape the bulk film on. ​It works like a champ and saves you a bit more money. ​Here I am taping the bulk film to the central axel of the canister. I use 3M masking tape and have never had a problem.The lever under my thumb is what keeps the door closed when loading film so as to avoid an accidental exposure to light. Here the canister is assembled into the bulk loader. You can see the film towards the bottom of the picture going through a sprocket which keeps the film straight and counts the number of frames loaded. Again this is covered with a plastic lid before the film is loaded into the canister. This allows you to load film in the daylight. I still find a darker corner of the room to do it in. So here is the finished roll. The leader has been cut in order to facilitate loading in the various cameras I have. I have also marked on the canister and on the film box the type of film and the month it was loaded. The tape on the box is then pulled from it and taped to the back of the camera. I can then write the ISO it was exposed at when putting the exposed canister back into the box. ​On the back of the bulk loader I track when I put the film in the loader and how many rolls I have made with it. A frame is 36mm long however if you include the space before the next frame it is 38mm. I load 39 frames (due to waste) which means 1.4 meters per roll. Each bulk roll I buy has 30 meters so I get around 21 rolls per bulk roll. As you can see on the right I have loaded 14 rolls which means I need to order some more!